Natural gas fulfills almost half of the Netherlands’ energy needs, and GasTerra plays a crucial role in the supply of resources from producers to energy companies and industry. By deploying cutting-edge analytics tools, GasTerra is shaking up the fast-moving energy market by helping its business users track performance and make better decisions. To optimize revenue and gas-income profits for shareholders, energy wholesaler GasTerra wanted more detailed, faster insight into natural gas prices, supply levels, and changing market conditions. GasTerra uses business intelligence solutions to integrate, cleanse and analyze data from sources including price indexes and forecasts, enabling rapid, accurate reporting for key stakeholders. GasTerra, a leading natural gas trading house based in the Netherlands, forms a vital link in the energy supply chain. The company buys and sells resources to the energy providers who keep the lights and heating on in people’s homes, and to the corporations who drive economic growth. Analytics and reporting sit at the heart of GasTerra’s day-to-day operations, enabling its traders and account managers to monitor the value of its long- and short-term contracts, and to keep shareholders regularly informed about business performance. The company must factor many different data points into its reports, including price indexes, market forecasts, geopolitical events and future weather conditions. To build smarter, more efficient reporting processes, GasTerra engaged IBM for a comprehensive assessment of its analytics landscape. Following the consultation, GasTerra chose to work with IBM Business Partner Comparex, and to deploy IBM Analytics solutions on-premise. GasTerra uses IBM® PureData® System for Analytics to support its critical data warehouse, and to perform high-speed analysis of energy market data. If GasTerra encounters any issues with its infrastructure, it can call on 24/7 support from IBM to ensure exceptional business continuity. The company also uses IBM InfoSphere® DataStage® for extract, transform and load (ETL) jobs, drawing and cleansing data from multiple external sources into its data warehouse. GasTerra also implemented updates to IBM Cognos® Analytics, helping users across the company to build reports monitoring natural gas supply and the value of its contracts. GasTerra is also utilizing IBM CPLEX® Optimization Studio to build sophisticated calculation models, helping it to gain deep insight into the supply of natural gas and ensure its contracts reflect market conditions. Supported by IBM and Comparex, GasTerra is optimizing its business intelligence processes, helping it to gain faster insight into the energy market, sharpen its competitive edge, and keep stakeholders informed about performance. The self-service capabilities of Cognos Analytics are also enabling more users at GasTerra to mine data and run their own queries, rather than relying on the IT team for reports. GasTerra is now working with IBM to find even more ways to make the most of its technology investments. IBM is providing use cases, and documentation on best practices to help GasTerra to drive adoption across the business. GasTerra is a leading gas trading house based in the Netherlands. Founded in 2005 following the split of Gasunie, the company purchases natural gas from domestic and foreign producers, then sells to a customer base that includes energy providers and companies from across industry. 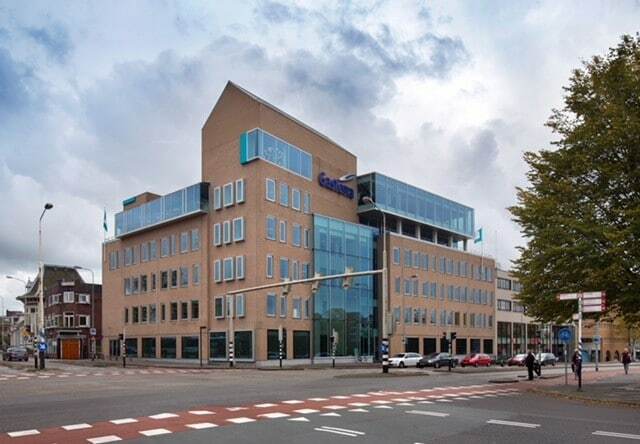 Headquartered in Groningen, GasTerra is half-owned by the Dutch state, and half-owned by the oil companies Royal Dutch Shell and ExxonMobil. In 2016, the company reported turnover of EUR 9.9 billion (~USD 11.75 billion). IBM, the IBM logo, ibm.com, Cognos, CPLEX, InfoSphere, DataStage, and PureData are trademarks of International Business Machines Corp., registered in many jurisdictions worldwide. Other product and service names might be trademarks of IBM or other companies. A current list of IBM trademarks is available on the web at “Copyright and trademark information” at ibm.com/legal/copytrade.shtml.